Burma (or Myanmar) offers pristine and untouched dive sites and with over 800 islands covering some 12,000 square kilometres its islolation makes it one of the worlds true frontier diving destinations. 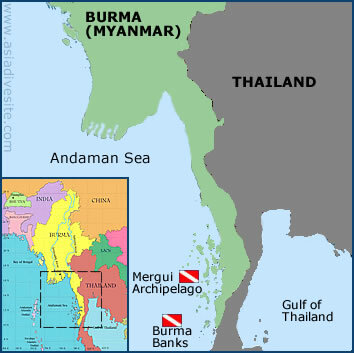 The Burmese government have recently opened up the Mergui Archipelago to outside visitors and it is now rapidly becoming one of the premier places on the planet to go diving. With a rich and diverse marine ecosystem untouched by tourism and left in isolation for many years it can offer some amazing surprises. Sharks, mantas and big pelagics coupled with stunning visibility are all common here; in fact there is far more marine diversity here than in neighbouring Thailand. Most of the vessels visiting Burmese waters originate from Thailand, either Ranong or Phuket. They are all liveaboards as day trips are impractical due to the distances needed to travel between dive sites. There is always something exciting happening when diving in Burma, you never know what is out there. See this article for more info on diving in Burma. Travel: Major airport in Rangoon (Yangon), access usually by liveaboard from Thailand. Diving: Viz can be upto 50 metres, depths to 300 metres. 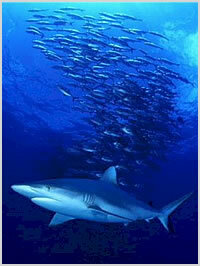 Marine life includes most common indo-pacific species. The map below is interactive so click on the dive site to get more details.